Unless you’ve been living under a space rock, you know about the young Han Solo Star Wars spin-off film that Disney and Lucasfilm are planning. The standalone film is already well in the works, and there is a list of young hopefuls vying to play a young Harrison Ford and journey across space with Chewbacca in the Millennium Falcon. Yeah, that sounds like a dream job right there. 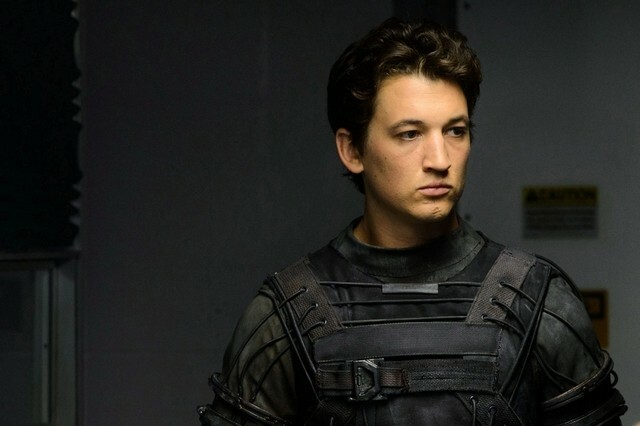 One lucky actor who landed an audition for young Han is Miles Teller (Fantastic Four, Divergent). The 29-year-old actor would be a great pick—he’s incredibly talented and his star is on the rise. He certainly has the charisma of the iconic Han. Teller isn’t on the recently reported “shortlist” of potentials, but who knows if the list is even totally accurate or complete. According to the Hollywood Reporter, the list currently includes Alden Ehrenreich, Jack Reynor, and Taron Egerton. We’ll take this with a grain of salt, though. We certainly think Teller is capable of filling those huge shoes. Good luck, Miles. May the force be with you! The young Han film is set to open on May 25, 2018 and will be directed by Phil Lord and Chris Miller.